Offshore Umbrella Companies offer the highest return of all the routes that a contractor can take. Using Offshore Umbrella Companies is tax avoidance rather than tax evasion. The former is legal. The latter is illegal. The worst route that a contractor can take is just to pay the IR35 Tax bill in full. Slightly better is the onshore umbrella company route. Contractors can claim travel to work and overnight expenses etc. against tax. Usually, they are able to claim back up to about 5% that way. The second best route for contractors, financially, is the Limited Company route. Although not as good as offshore umbrella companies, contractors using the Limited Company Route would be better off than those using onshore umbrella companies. Indeed, it is estimated that contractors using the Limited Company route pay £10,000 less tax a year than those using onshore umbrella companies. Stock market returns show an average rise of 12% a year including dividends. If the 10 grand saved a year was invested in the Stock Market it would be worth half a million pounds in just over 16 years. Contractors using tax-efficient planning for their limited companies can save even more. They can retain between 85% and 90% of their income. You can find out more information here and a form to apply for it by clicking on Tax Efficient Limited Companies. Limited partnerships are a very clever solution and one offered only by one company, to our knowledge, as I write. It is a completely onshore solution yet returns 85% to the contractor. The contractor has self-employed status but has a limited partnership with a company owned by the limited partnership provider. Contractors, in the past, have used limited companies as this gives them the limited liability that the self-employed contractor previously didn’t have. However, as the self-employed contractor does nothing other than the contracting and the partner company takes all the decisions, it is the company that has all the liability rather than the self-employed contractor. They, of course, take out liability insurance in the event of any liability. This means the contractor has the same liability protection that a limited company contractor has – but is able to get returns of 85% through efficient tax planning by the limited partnership partner making it more lucrative for them than using a limited company. 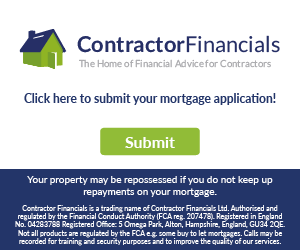 For more information, or to apply, click on Limited Partnerships for Contractors. However, even better than that is the use of ofshore umbrella companies. Contractors can retain anywhere between 85% and 90% of their income using those vehicles, depending on the amount earned. Both the Chancellor, George Osborne, and Ed Milliband, have stated recently that they intend to target even the meagre savings that those using onshore umbrella companies get from offsetting some expenses against tax. If this happens, many of those currently using onshore umbrella companies will set up Limited Companies or use offshore umbrella companies. The Chancellor, or Ed Milliband, would get even less tax, then, and contractors would retain more of their income.